Hampstead Heath is a large and old London park that is located only 4 miles away from Trafalgar Square. It is one of the largest green spaces in the British capital, covering an area of 320 hectares. 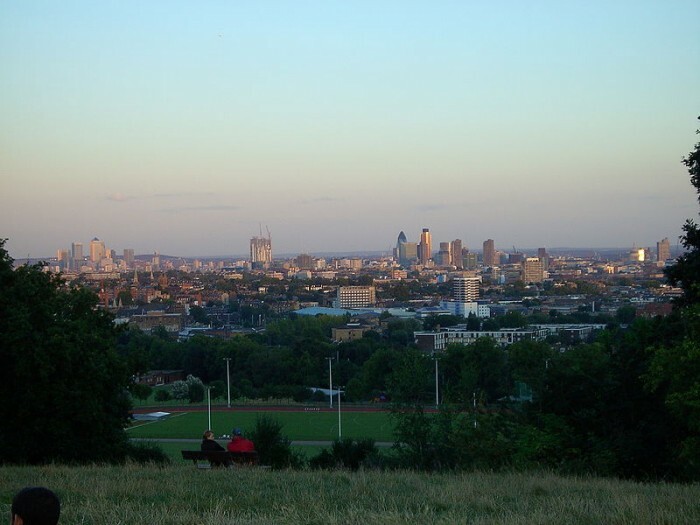 This public park includes one of the highest points of the city, offering a marvelous view over Central London. The Heath is hilly and it features a training track, swimming ponds, playgrounds, an open air lido, sports pitches, the Golders Hill Park, the Parliament Hill and woodlands. The Kenwood House is located ajacent to this park. 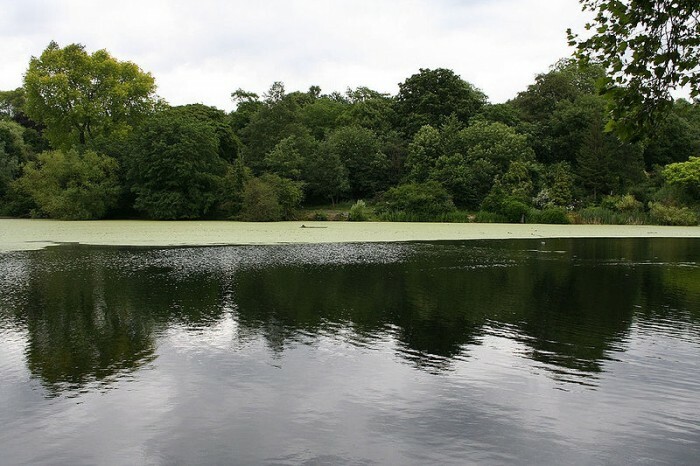 The Ponds and Swimming Pools – There are more than 25 ponds in Hampstead Heath that are mostly gathered in 2 areas known as the Hampstead Ponds and the Highgate Ponds. The first area includes 3 main ponds, with one of the ponds being used as a swimming pool. The second is home to 8 reservoirs that date back to the 17th and 18th centuries. They include a boating pond, 2 wildlife reserves and 2 swimming pools. You can also fish in some of the ponds. The Whitestone Pond is probably the best known pond in Hampstead Heath but it is not intended for recreational use. Another uncovered and unheated swimming area is the Lido at Parliament Hill. 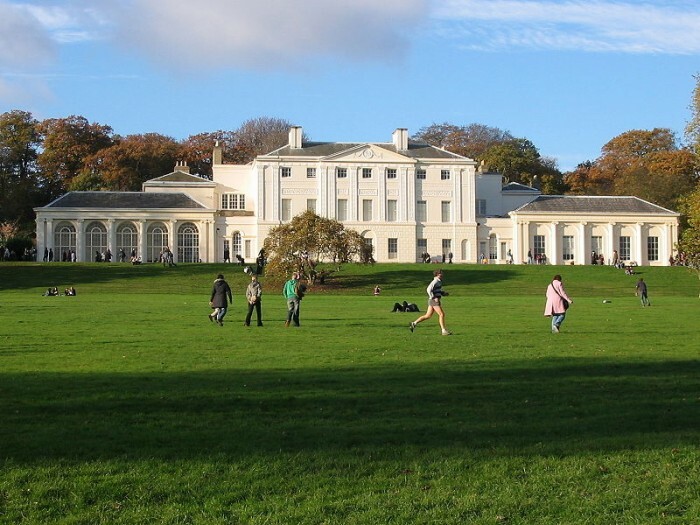 Kenwood House – In the northern part of the park, you will notice the Kenwood House and Estate covering an area of 50 hectares. The English Heritage manages the house for public viewing. It features numerous works of art by famous artists including Henry Moore, Barbara Hepworth, Rembrandt and Johannes Vermeer. A part of the estate was also transformed into a Site of Special Scientific Interest featuring numerous species of insects and birds. Parliament Hill – The open parkland known as the Parliament Hill is 98 metres high and it’s mostly known for the amazing views of London’s skyline. From uphill, you can see St. Paul’s Cathedral, the Shard, the Gherkin and Canary Wharf. On a clear day, you can even see the Houses of Parliament. This area of the park is particularly popular among kite flyers, runners and walkers. Golders Hill Park – Near West Heath you can see the Golders Hill Park that features a duck pond, a flower garden, a butterfly house, table tennis areas, tennis courts, a kids’ play area and a small and picturesque zoo. The Golders Hill Park Zoo is home to European Eagle Owls, white-cheeked turacos, ring-tailed coatis, ring-tailed lemurs, maras and donkeys among various other animals. This is a free zoo and it’s open from 7:30am till dusk. Golders Hill Park is closed during the night. Hampstead Heath Parkrun – This event takes place every week in the Hampstead Heath. It is organized on Saturdays at 9:00am. The participants run on a 5km route. You must register to enter this race. You can find more information about the Hampstead Heath Parkrun here. The Race for Life organized by Cancer Research UK also takes place at Hampstead Heath. Picnic at Hampstead Heath – For safety reasons, barbecues are not allowed in this park. Still, you can always have a nice picnic here. The perfect spot for a picnic is Parliament Hill as it will offer you magnificent views while enjoying your snacks. If you’re not in for a picnic, you can always grab a bite or have a coffee at one of the cafes in the park including Kenwood Brew House restaurant, Golders Hill Park cafe or Parliament Hill cafe. Hampstead Heath Trails – Go for a bushwalk on one of the designated trails: Parliament Hill and the Tumulus (1.5 miles, the start and the finish are at Parliament Hill cafe), Sandy Heath and the Pergola (1.7 miles, the start and the finish are at Golders Hill Park cafe) and Heath Circuit (6 miles, the start and the finish are at Parliament Hill cafe). London Underground – Take the Northern line and stop at Golders Green, Hampstead or Kentish Town. All of the stations are less than 15 minutes away from Hampstead Heath. Bus – Take buses 210, 268, H3 and 210 and stop at one of the following stations: Jack Straw’s Castle, Hampstead Lane, Hampstead Way, Wildwood Road or North End Road. Otherwise, you can take buses C11, 214, C2, 168, 46 or 24 and stop at Gordon House Road, Highgate Road or South End Green stations. Overground – Take the Overground service and stop at either Gospel Oak or Hampstead Heath. Car – There are car parks at Hampstead Heath, so you can also get there by personal or rented car. They are located at West Lodge Gate, Jack Straw’s Castle, near the Education Centre at Parliament Hill and at Preacher’s Hill. The car parks are opened between 7.30am and 8.30pm every day. The fees are 2.50 GBP for the first 2 hours, 5 GBP for 2 to 4 hours and 4.50 GBP for every hour thereafter. The year 986 has brought Hampstead Heath on the map, but at the time it was called Hemstede. It was granted by Ethelred the Unready to one of his servants. Around 1086 it was under the property of St. Peter’s monastery and by the 12th century it was privately owned by Henry II’s butler, Alexander de Barentyn. The Heath remained a private property until the beginning of the 1940s, when it was passed on to the 5th Viscount Gough, Shane Gough. The Parliament Hill was added in 1888, the Golders Hill in 1898 and the Kenwood House in 1928. Since 1989, the Hampstead Heath is managed by the City of London Corporation that improved the aspect of the green space and transformed it into a top London park. The swimming ponds are a definite must when visiting Hampstead Heath! We jumped on a bus from London Marylebone (around 40 mins) and then the ponds themselves are a little walk through the park (about 10 minutes). There are separate ponds/pools for females and males and there is a mixed pond which can get extremely busy when the weather is nice. It costs £2 to enter, I would recommend taking your own towel as you cannot hire them and there are a couple of lifeguards which is always good to see! Great place for a picnic, especially on parliament hill! Great views, also fun to explore the shops and cafes around Hampstead before going to the park. Best place to go in London in Summer. Most of the tourists climb Parliament Hill, which you should do – but the real attraction to the place are the swimming pools and picnics across the park. So on a warm summer day take your swimming gear and join the locals! Make sure you watch where you’re going though – there are exclusively female and male pools, so don’t get mixed up! A truly beautiful place to have a picnic in the summer. You may be lucky enough to spot a celeb or two unguarded! It’s a great place to relax if you’re having a busy day in the city. There’s a few cafe’s around the park itself, although I wouldn’t be around here at night – being such a big space! My favourite place in London! Perfect for a run or sunbathing (why not swimming into one of the ponds?). The small zoo in Golders Hill Park is worth it the walk – free and quiet. Parliament Hill is a must for a nice afternoon picnique with a view to the city. If you are into beautiful landscapes and long strolls – this is the place for you!